Like most widows Tulsidevi Danai is very proud of her late husband and the bravery that earned him his war medal. But as she holds up the battered broken medal bearing the likeness of King George VI, she appreciated its other significance: to her it is the difference between life and death. 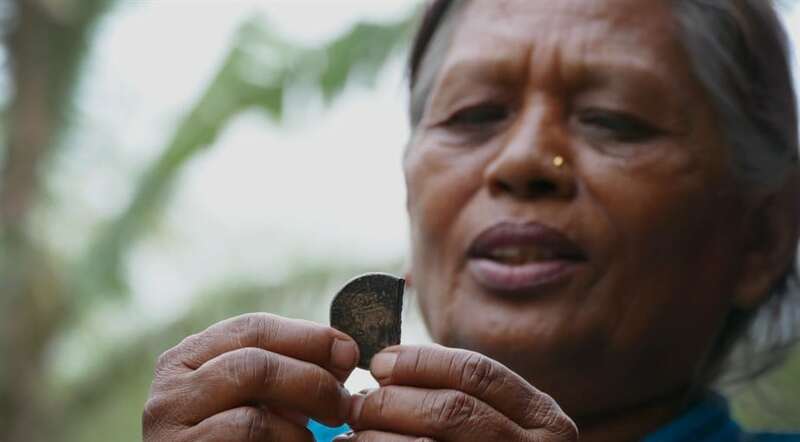 She explains: “This medal is the evidence for getting my Welfare Pension from The Gurkha Welfare Trust (GWT),” a pension which enables her to survive. She still recalls the some of the stories her late husband told her about what he endured, fighting and serving in difficult terrain. She remembers: “Some thieves once came and stole his other medals. This is all I have left. The Welfare Pension is awarded to impoverished Gurkha veterans or widows who aren’t eligible for the standard Army pension. It currently stands at 10,500 Nepalese Rupees per month (around £76). The rate is calculated each year using a ‘shopping basket’ of basic goods such as rice, vegetables and cooking oil. While modest, it provides enough to get by in Nepal. Today, GWT provides financial, medical and development aid to Gurkha veterans, their families and communities. The charity is critical for ex-servicemen and their dependants, who are often unable to work through age, illness or injury. For many, the GWT Welfare Pension is often all that stands between a Gurkha veteran and their family and destitution.